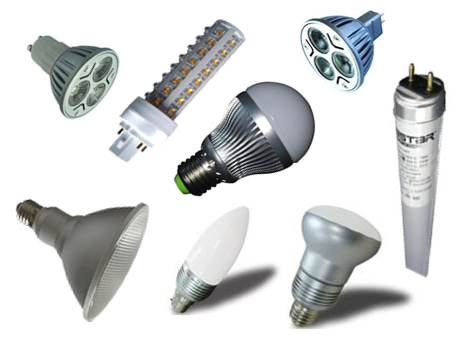 Below you will find information about lamps and bulbs, down lighters & candle lamps, even fluorescent tubes. And for almost all of them we have a replacement LED version available. What’s available? Candle “bulbs” and AR111’s. GU10’s (230V), MR16’s (12V) and PAR20/30/38’s. Reflector heads such as the R60 (mushroom head). With B22 (bayonet fitting), E27 (Edison Screw) or E14 (small Edison screw) bases. Cool White (6500-7000K) or the very white to blue-ish white! Beam angles (15/25/30/45/60/90/120/170 degrees), L70 life spans of 30,000/40,000 + hours (when the light output from the lamp has degraded by more than 30%) and a year warranty against manufacturing defects. AND they are dimmable using normal wall dimmers! The traditional halogen / dichroic (either MR16 or GU10) is known as down lighters. However this is a fallacy! There is a large number of down lighters available that is traditionally fitted into a suspended or false ceiling, normally in commercial or retail environments. They have different diameters and require the luminaire (aka fitting) and the matching lamp (aka bulb). And these lamps can be anything from an incandescent to a HID (high intensity discharge) lamp. This whole sub-classification is now available in LED technology. The luminaire is the lamp and vice versa! And it is purpose-built with due regard for optimum LED performance. In the pages below you will find more than 190 different down lighters with different energy consumption levels, beam angles & colours. There are a lot of different lamps and bulbs on offer in the catalogues listed below. And that does not count the permutations for colour and lenses! If you have a requirement that is not listed below please contact us as we have access to more lighting products.